Self-esteem is generally discussed in the context of individual psychology. If "we" are more than just "individuals," however, which is what I think, then self-esteem must have a political counterpart. John Vasconcellos, who represented areas in Santa Clara County in the California State Legislature for almost forty years, did seek to make self-esteem a political "issue." 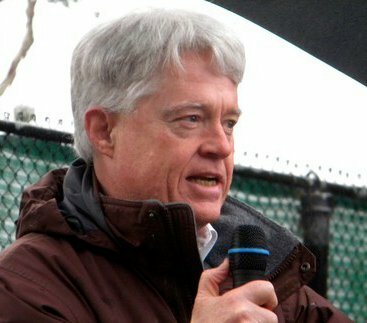 Most notably, Vasconcellos was able to persuade the State Legislature and the Governor to establish a California Self-Esteem Task Force, through legislation he authored in 1986. The Final Report of the Task Force was published in 1990. Vasconcellos was more or less ridiculed, in a series of Doonesbury cartoons, for his attempt to bring a serious discussion of self-esteem into our political debate. The cartoons, as I recall, were rather funny, but the importance of self-esteem is actually no joking matter. 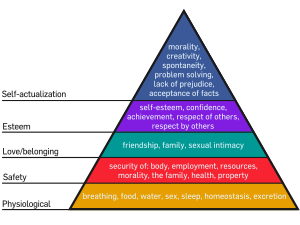 Abraham Maslow, a well-regarded psychologist, identifies positive self-esteem as a basic human need. In retirement from the Legislature (enforced by term limits), Vasconcellos has continued his efforts to make self-esteem part of our political lexicon. For me, it's all about power. We cannot have a healthy psyche if we don't feel (because it's true) that we have the power to overcome the challenges and to realize the opportunities that our lives present. And the same is true in our common life together, as we create the "political world" we most immediately inhabit.